Here is my second submission for the contest. 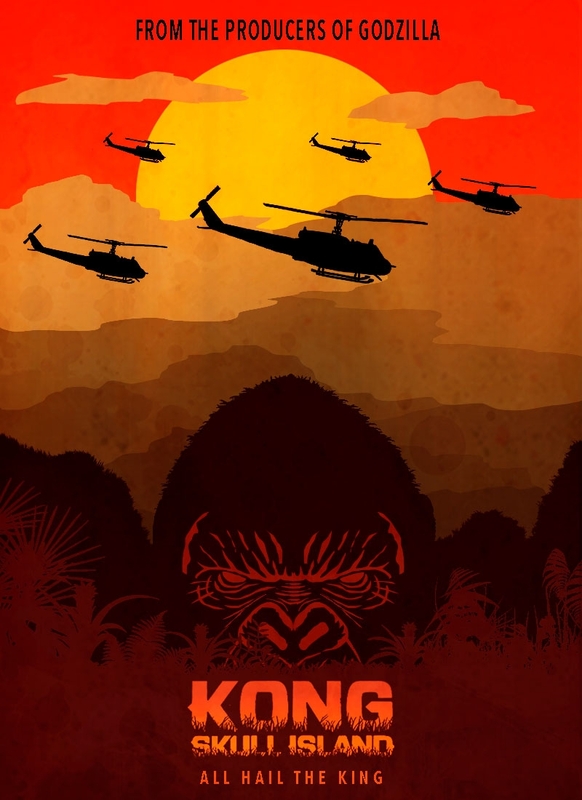 I wanted to show Kong blending into the background with the silhouette of his head matching the mountain ranges. Also I kind of went for a bit of a Jaws feel with his head rising up as the choppers pass by from above as they are unaware of the approaching danger below.